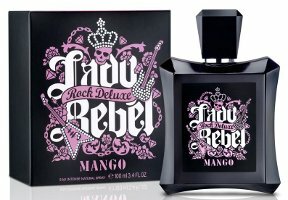 Spanish fashion brand Mango has launched Lady Rebel Rock Deluxe, a new flanker to 2009's Lady Rebel. Notes include bergamot, grapefruit, gardenia, tuberose, orange blossom, patchouli and leather accord. Mango Lady Rebel Rock Deluxe is available in 100 ml Eau de Toilette Intense. What is distinct smell of this one now? Citrus or floral?